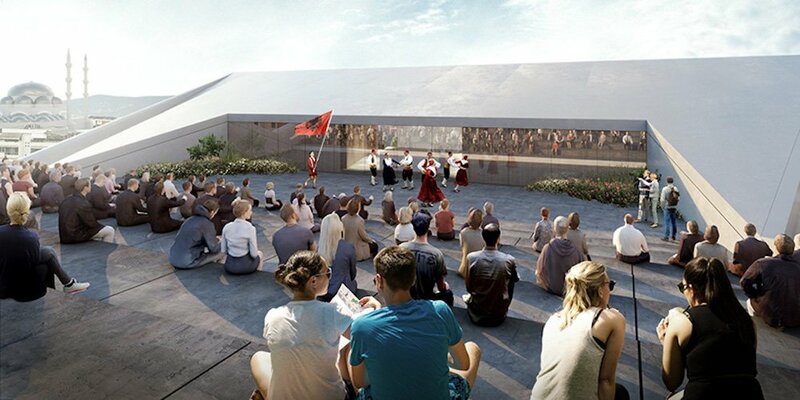 The new designs for Albania’s National Theatre has been unveiled amid an ongoing row over the country's artistic heritage. 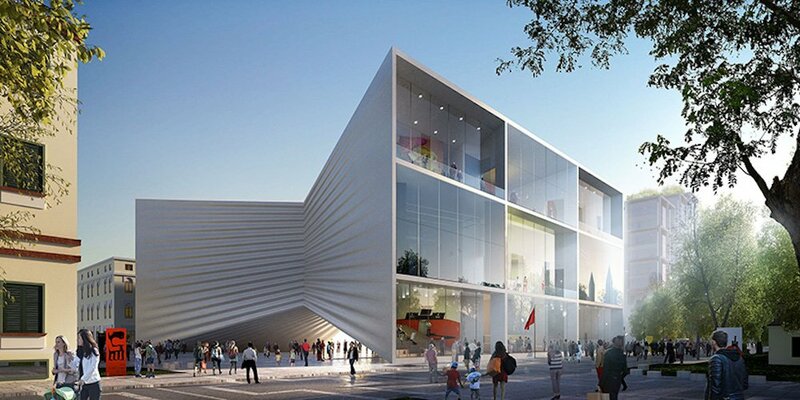 Global design firm Bjarke Ingels Group (BIG) was chosen to create the new, bow-tie-shaped building on Skanderbeg Square as part of Tirana’s upcoming cultural district. 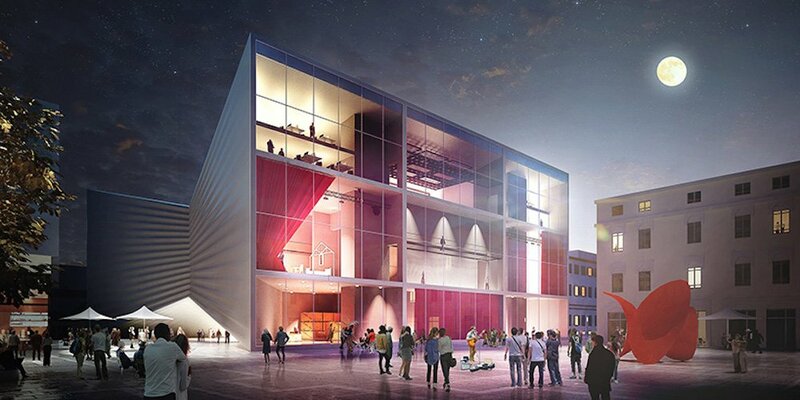 As well as hosting three indoor performance spaces, the new theatre will include a rooftop amphitheater and a covered public space beneath the building. The company said that the new designs would provide the Albanian capital with a much-needed meeting place. 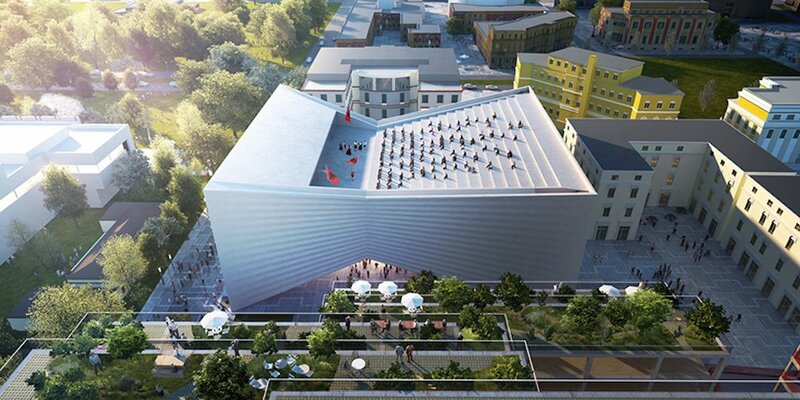 “Our design for the new National Theatre of Albania will continue the city’s efforts for making Tirana’s public spaces more inviting and its public institutions more transparent,” said Bjarke Ingels in a statement. But many culture figures remain sceptical of the plans, with actors storming the current national theatre building in early Februrary to protest government plans to demolish the iconic building. They rallied against the theatre's planned move to the Tirana's Turbine Art Centre: a seperate art space in the capital which is still under construction. They slammed the performance space as “completely unsuitable”, calling on the government to instead renovate the existing venue. Other actors and directors have accused the government of only demolishing the existing theatre in order to free up land for luxury developments. Built in 1939, Albania's National Theatre worked as a cinema until the end of the Second World War, when a stage replaced the former screen. 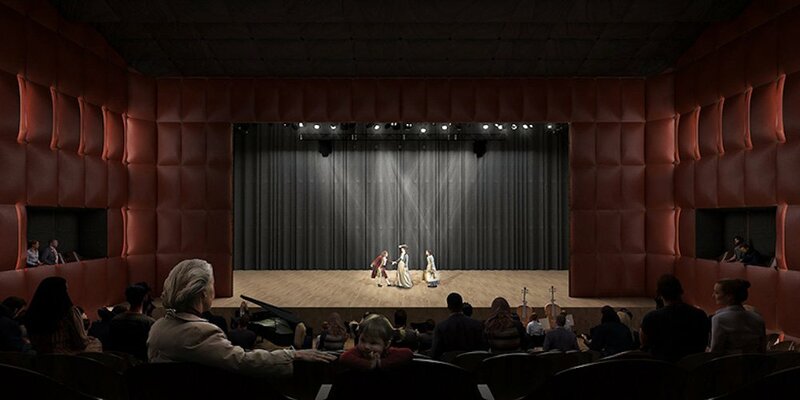 The new building will be funded by a Public-Private Initiative, with state officials saying that they do not have enough money to refurbish the theatre independently.